Dream homes come in all shapes, sizes, textures and colors. Either placed on the ground of an exclusive estate, on a lot in the middle of a busy city or high up above city lights, luxurious homes always draw the eye with their customized design. Today’s dream home is a fascinating penthouse in Soho designed by Piero Manara in collaboration with Debla Manara-Berger of Casamanara. Located on the man-made, guard gated Hibiscus Island, just off of Miami Beach, this lavish Mediterranean mansion features over 13,000 square feet of open living spaces, high ceilings, covered loggias and rooftop terraces. Mercedes and Cigarette Racing, each a leading company in their respective fields, have teamed up to create the Vision GT concept. Inspired by the Mercedes-Benz AMG Vision Gran Turismo, the Vision GT is a 50’ Cigarette Marauder with a Alubeam exterior, a matte black hull and twin 1650 hp Mercury Racing engines. Dubai is quickly becoming of the top destinations for tourists with expensive tastes and an eye for luxury. And such a traveler would have to look no further than the One&Only, The Palm for hospitality in this beautiful part of the world. 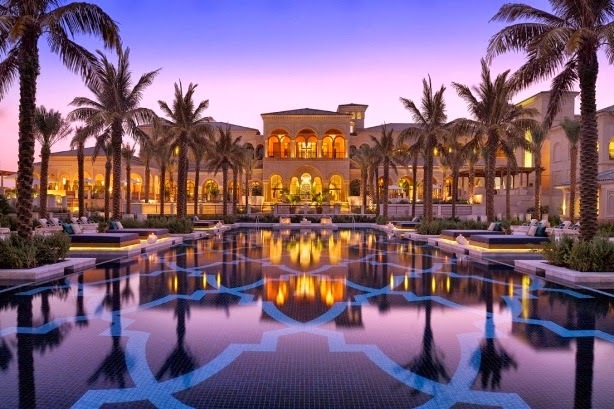 Built on the lush private peninsula of the Palm Island crescent, this luxurious oasis is set amidst lush manicured gardens, cascading fountains and pools, on the sparkling shores of the Persian Gulf and offers a beautiful view of the sea, and also of the amazing New Dubai Skyline. Blending Moorish and Andalusian architectural design with contemporary Arabic interior style, the resort evokes a certain distinction and sophistication. In addition to the many rooms and suites, the resort also offers six low-rise Mansions and four exclusive beachfront Villas. Its fairytale surroundings, magnificent design and luxury amenities, make the One&Only The Palm one the best resorts in Dubai. There are many violin-shaped swimming pools out there, no doubt about it, but this one is a little bit special since it was created to resemble an actual Stradivarius violin from the 18th century. 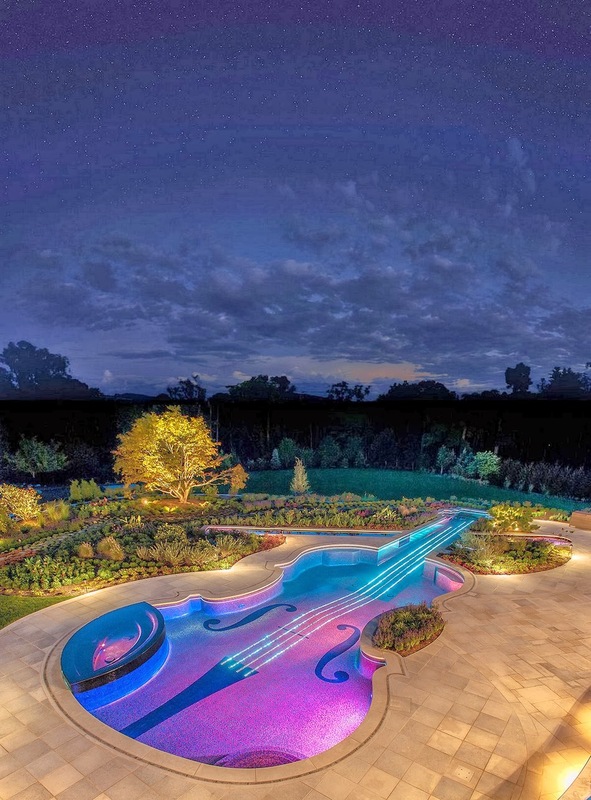 The creative minds behind this superb project were the experts at Cipriano Landscape Design & Custom Swimming Pools, and they made sure that this particular swimming pool would become an exact representation of the famous musical instrument, albeit much bigger in scale. 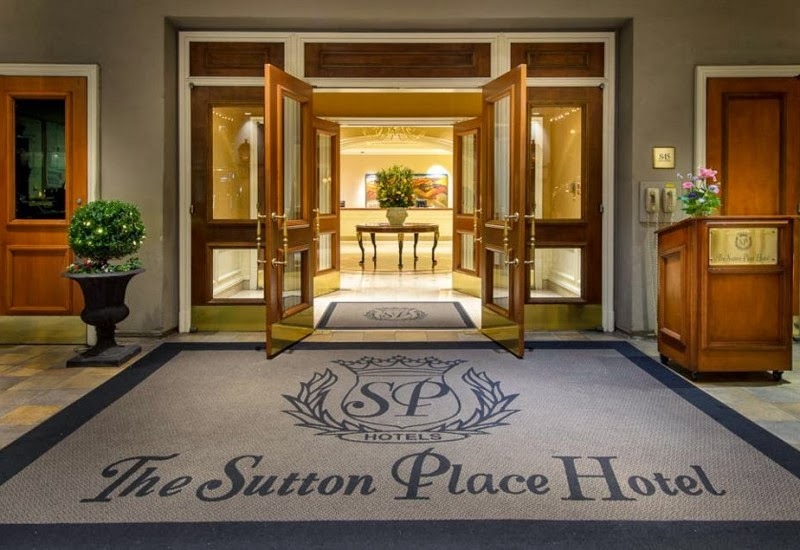 For $500,000, Sutton Place Hotels is offering the most luxurious Valentine’s Day hotel package, including a $100,000 shopping spree, a personalized Maserati and $50,000 worth of diamonds and jewelry. Perfectly called “The Once In a Lifetime” package, the Canadian luxury hotel company has launched the extravagant deal for lovers who may also be in the market for a luxury sports car and wardrobe overhaul.